A copy of this book was provided by the author in exchange for a review. 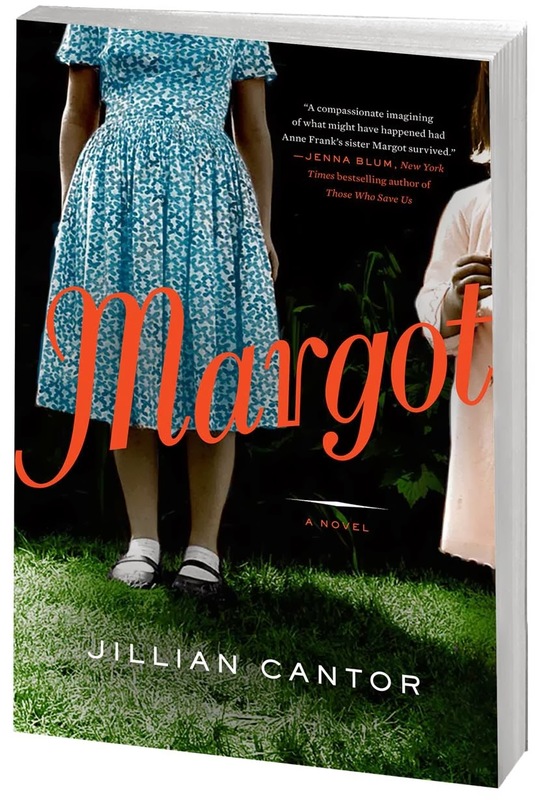 Another in the list of books about WWII and its aftermath, Margot by Jillian Cantor puts forth the supposition, what if Anne Frank's older sister had survived the war? The author herself says that she got the idea while reading The Diary of Anne Frank for the second time. She began to wonder, what of the other sister, Margot? Did she keep a diary, too? What was she like? Apparently, after doing some research, she found that not much information exists about Anne's less famous sister. This opened the door for a fictional story about surviving the holocaust with Margot as the central character. It is 1959. and the movie The Diary of Anne Frank has just hit the theaters in the US. Margie Franklin is living a quiet life in Philadelphia and working for a law firm. But Margie is really Margot Frank, the older sister of Anne, who was able to survive the holocaust. She eventually makes her way to America where she changes her identity, re-inventing herself as a Gentile. Once her father publishes Anne's Diary and it is made into a movie, her new life starts to unravel, bit by bit. Once I picked up Margot, I found it very hard to put down. The story alternated between the story of Margie, the girl hiding in America, and Margot, the girl hiding in the annex in Amsterdam. I was amazed at what a great job the author did presenting the two sides of the main character. 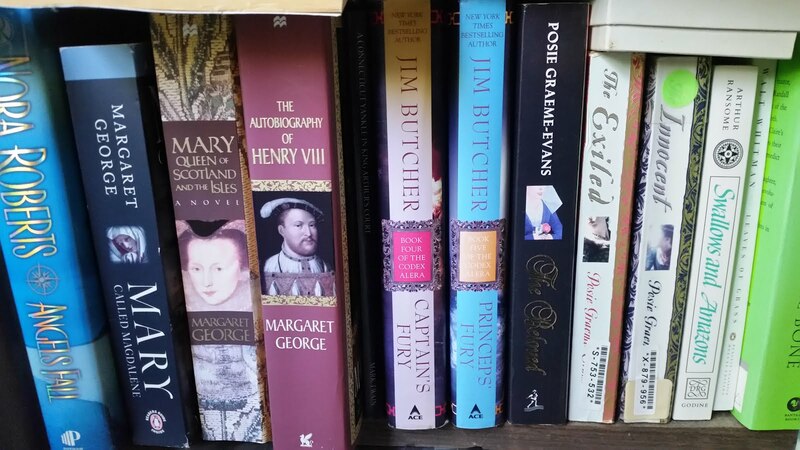 I was particularly impressed with the way she was able to craft a believable story of what Margot could have been like while still staying true to the words of Anne's diary. On the other hand, Margie's life in America was all fiction, but incredibly well told and highly believable. I could really put myself in the place of a person in her situation, her survivor's guilt, the elements of PTSD inherent in her situation, the ever prevalent fear that someone would discover the truth about her, and the constant inner struggle to not lose sight of who she was. Through the author's words I was transported into Margie's mind in the best way. What really sold this book for me, though, was the fact that it was more than just a "what if" book about Margot Frank. To me, it was really an exploration of the after effects of the holocaust on Jewish Americans. Some, like Margie, immigrated to America and re-invented themselves to create a distance between their new lives and their old ones. Others, like Bryta, came to America looking for a better life, only to find themselves taken advantage of. Then there were the American Jews, like Joshua, who were removed from the worst of the war and lived a relatively unscathed life, which brought on its own brand of survivor's guilt. Through the exploration of all of these characters, the author was able to craft a story that should not be missed. This was definitely a 5 star book for me and will be on my highly recommended list for quite a while. I have yet to come across a book that deals with these issues in such a readable and believable fashion.